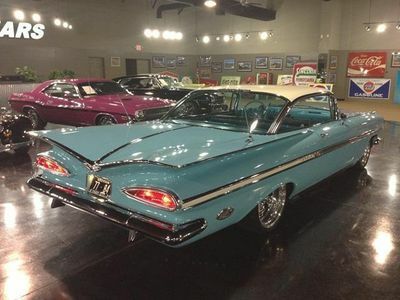 This Fully Restored 1959 Chevy Impala is a gorgeous example of 1950's futuristic car design with her "Bat Wing" tail fins, "Cat's Eye" tail lights and a "Flying Wing" roofline... 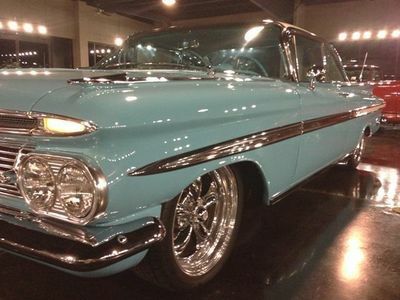 This baby is even more stunning in person, this is one that the pictures just don't do it justice! 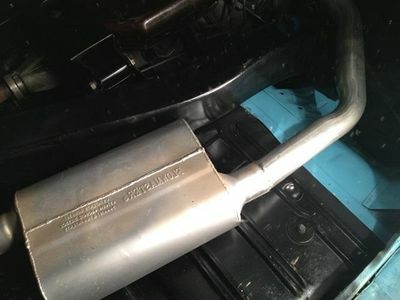 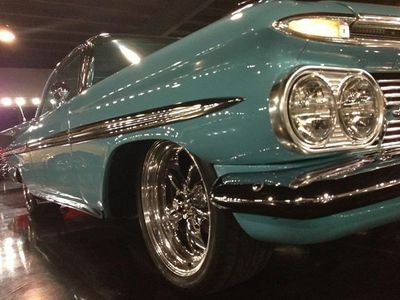 She runs strong and drives great as she should and She is just as solid as she is beautiful! 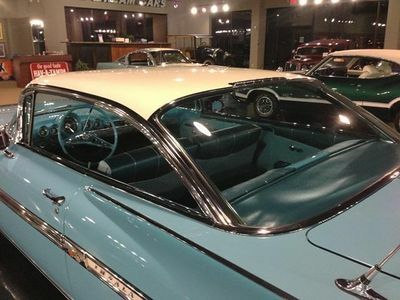 Stylish is an understatement when referring to Chevrolet's most expensive passenger model in 1959, which had become the best-selling automobile in the United States in a time when full-size models dominated the market. 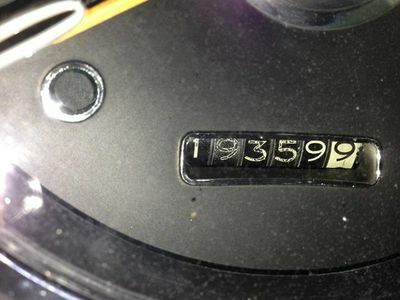 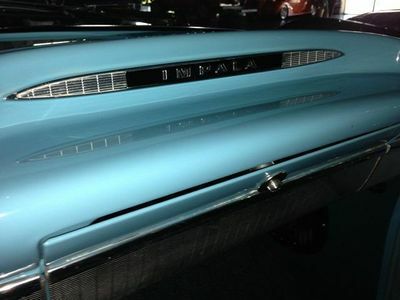 This upscale Impala model is heavily encrusted with exclusive trim and special badges. 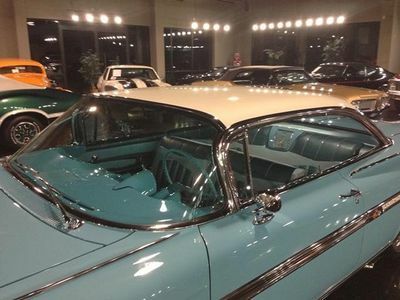 In addition to style and vigorous performance, 1959 Chevrolet ads marketed its "quick, eager- to-please handling that lets you know you're the boss." 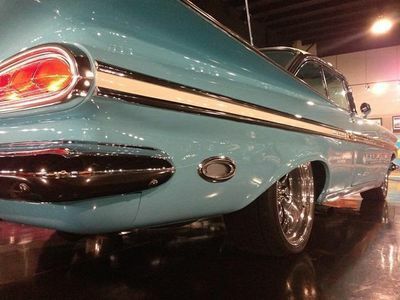 Even today, her handling is beautiful, especially when considering her size and weight. 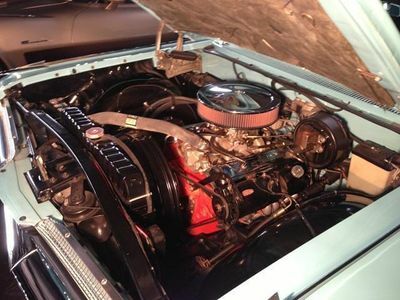 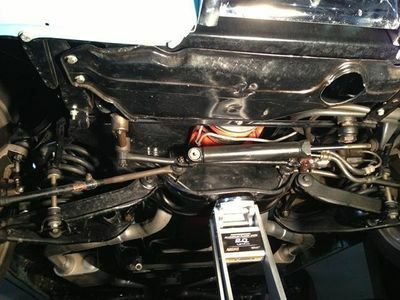 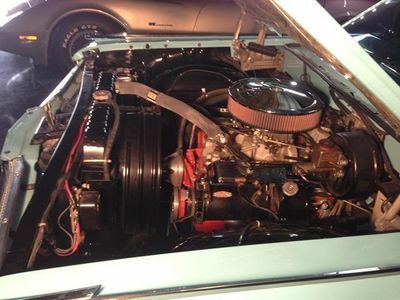 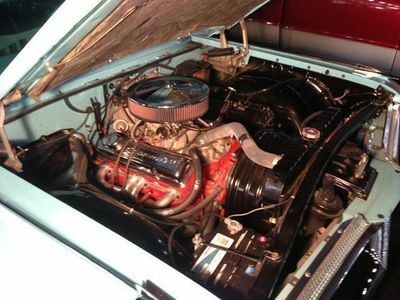 V-8 engine 348ci - upgraded to a V-8 Chevrolet 350 ci crate engine. 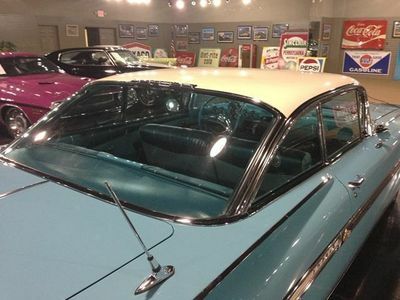 This Gorgeous Sport Coupe features a shortened roofline and wrap-over back window, promising a "virtually unlimited rear view" to complement her stylish compound-curve windshield. 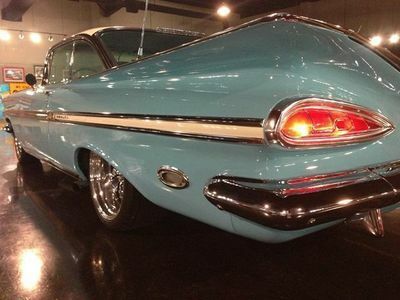 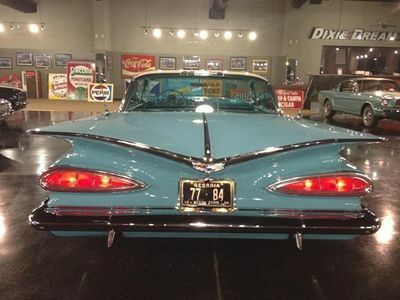 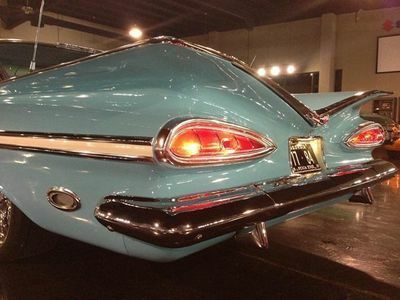 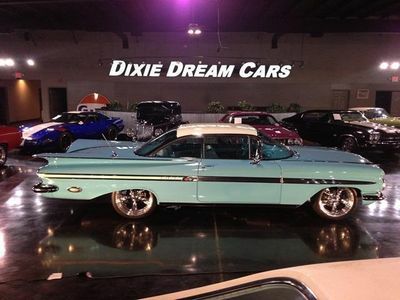 Her horizontal "bat wing" fins which became famous in 1959 are complemented by "cat's eye" or "teardrop" shaped single tail light and a glorious decklid. 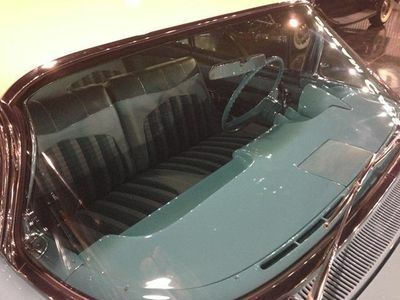 In 1958 Auto tester, Tom McCahill of Mechanix Illustrated, declared that a Chevy's decklid had "enough room to land a Piper Cub." 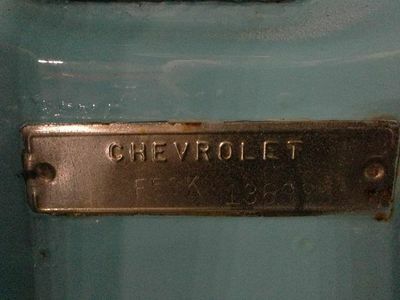 Special crossed-flag insignias sit above the polished side moldings plus bright rocker moldings and dummy rear-fender scoops. 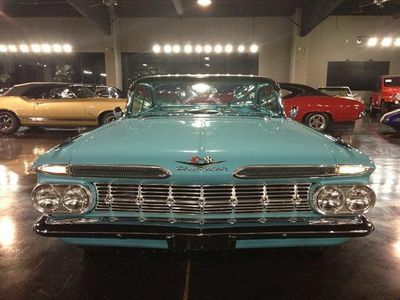 Her dual headlamps, which were new for this year, were standard. 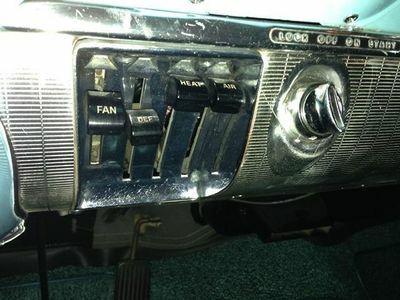 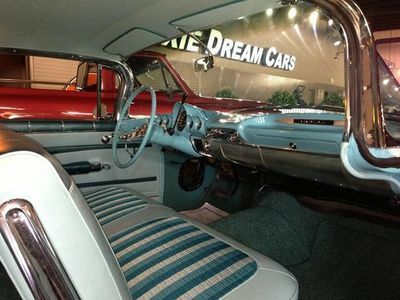 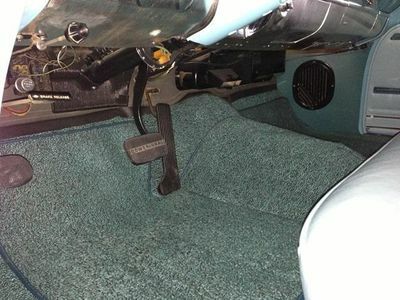 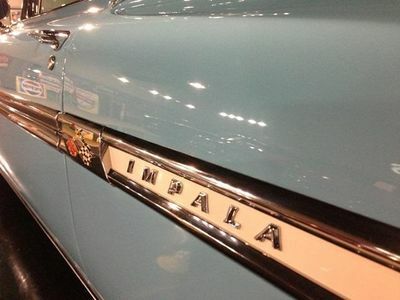 Impala interiors flaunted their top-of-the-line status, offering such pleasantries as Rear Seat Speaker, Front and Rear Armrests, an Electric Clock, Dual Sun Visors, and Crank-Operated Front Ventipanes. 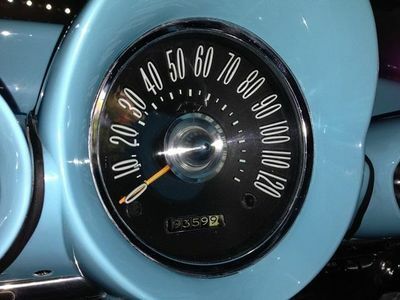 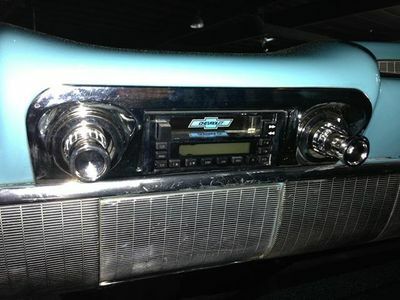 Her contoured instrument panel holds deep-set gauges residing below hoods to prevent glare. 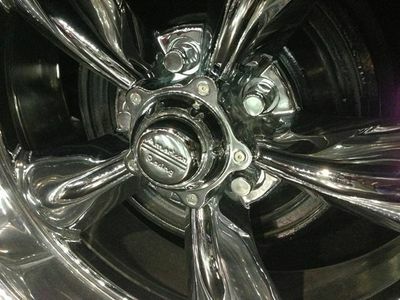 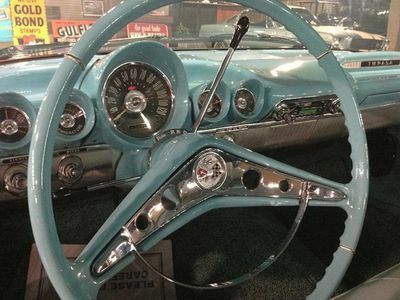 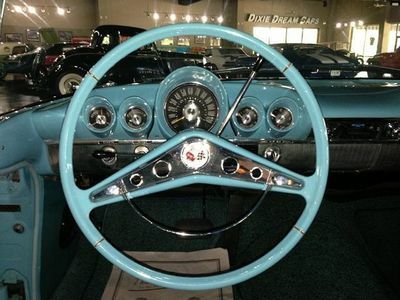 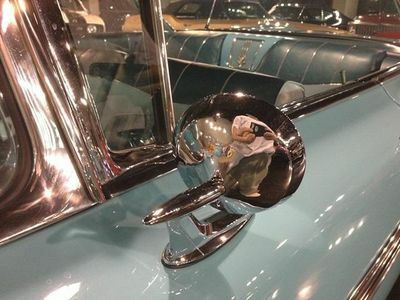 Her two-spoke steering wheel and color-keyed door panels with brushed aluminum trim look factory new. 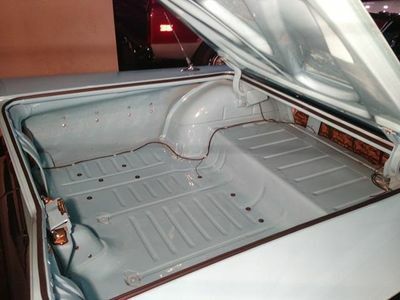 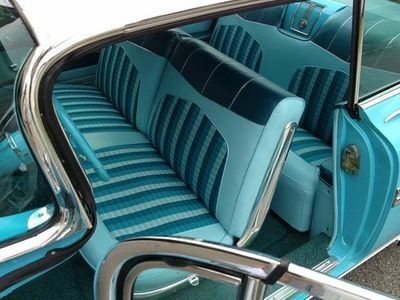 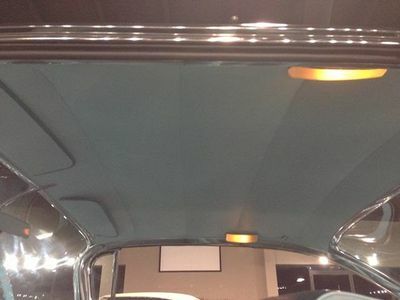 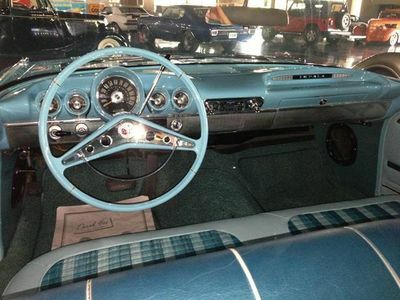 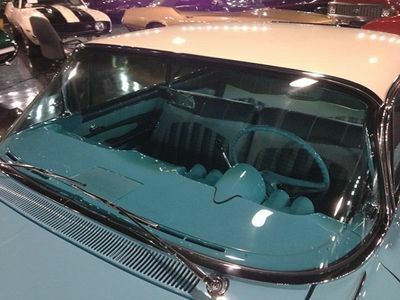 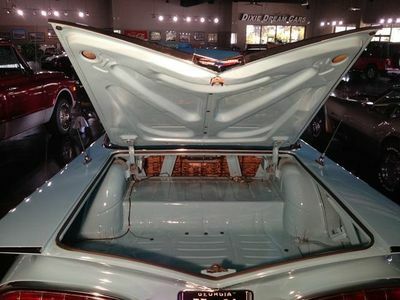 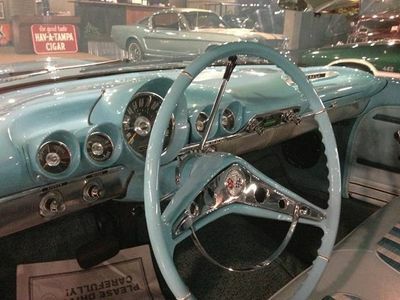 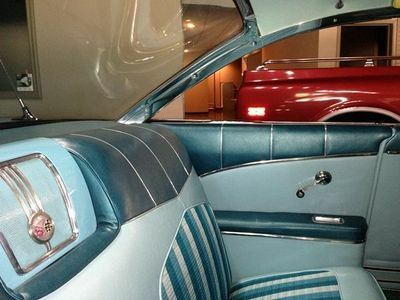 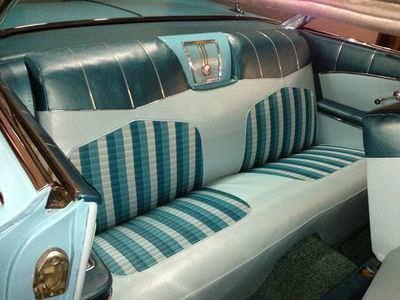 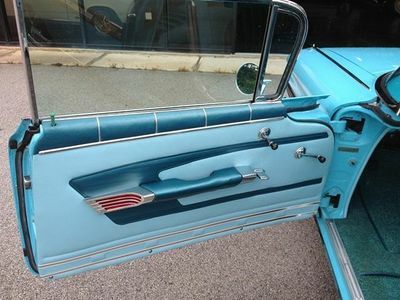 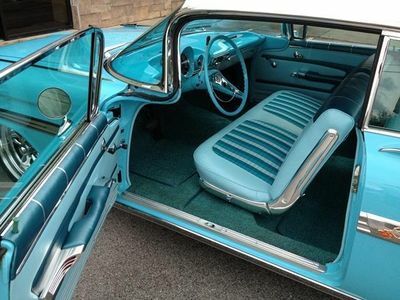 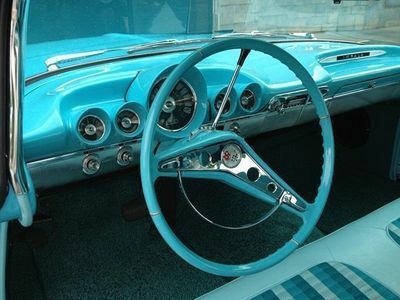 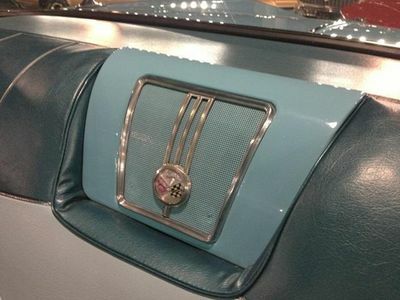 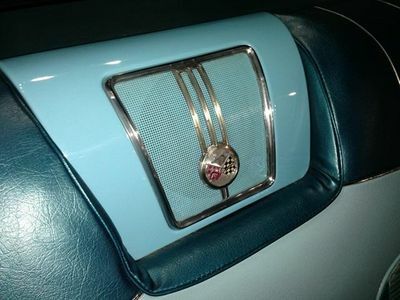 Her Correct Interior appears to be Seville crushed grain vinyl, two-toned light and dark turquoise metallic and Headliner appears to be the correct Impala Sequin headliner with matching sun visors. 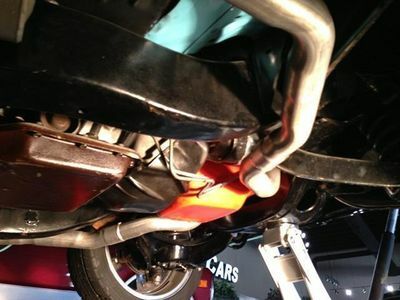 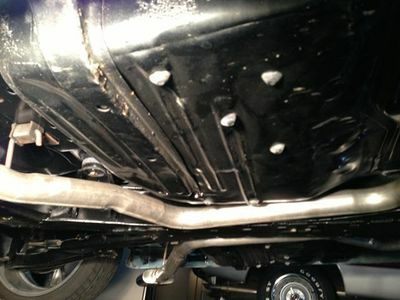 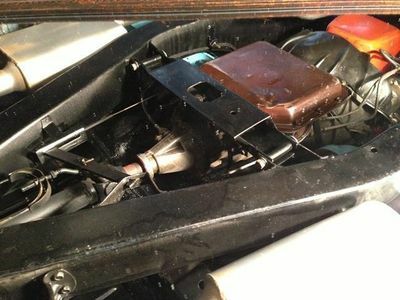 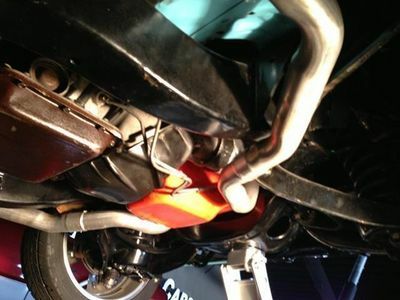 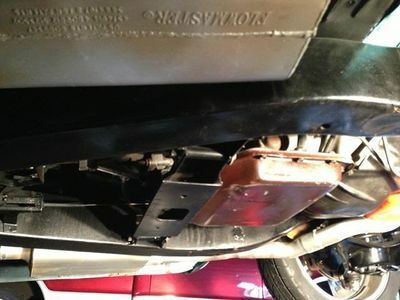 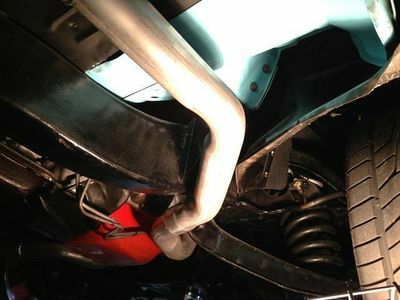 Underneath this elegant body is a chassis unit with rails laid out in the form of an elongated "X." 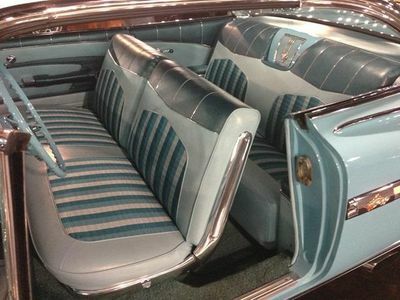 Chevrolet claimed that the new frame offered increased torsional rigidity and allowed for a lower, yet still roomy passenger compartment. 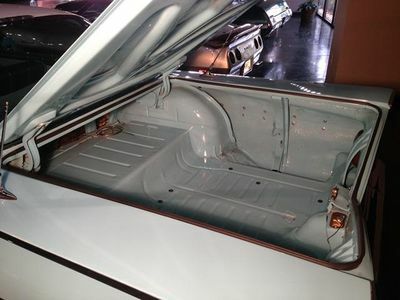 In this design, a transitional step between traditional construction and the later fully unitized body/chassis, the body structure was beefed up in a number of areas (most notably the rocker panels and firewall) to create a solid package. 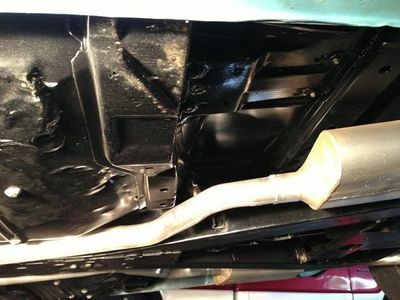 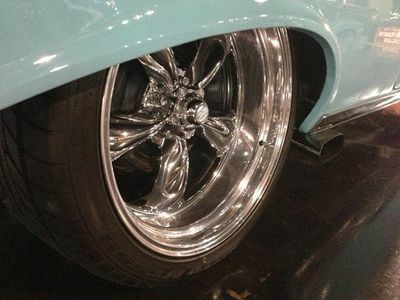 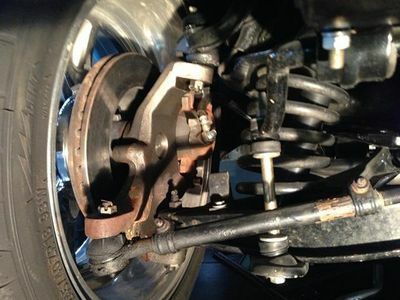 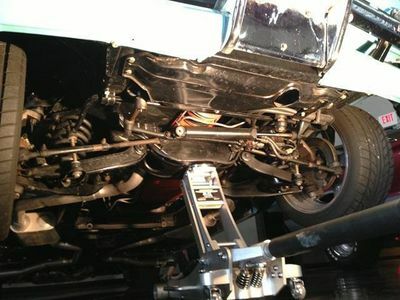 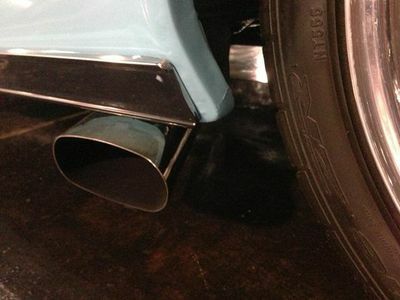 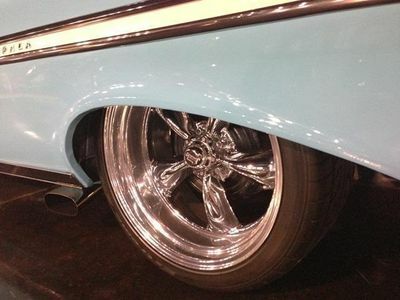 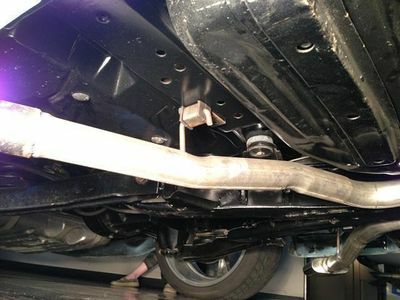 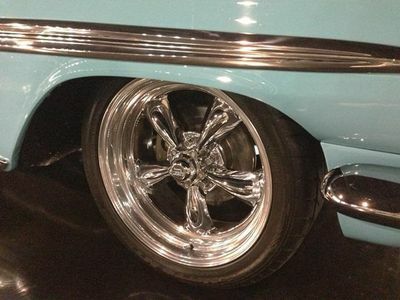 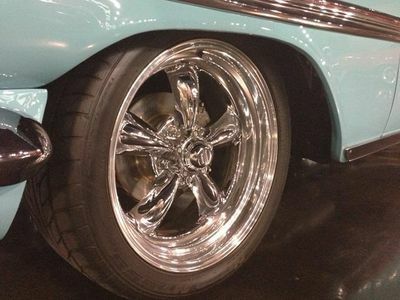 Longer, lower, and wider-a recurrent theme-all Chevrolets had either a full-coil or air ride suspension, displacing the old rear leaf springs. 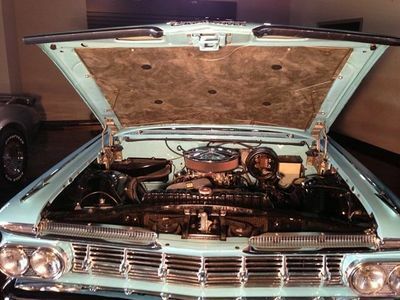 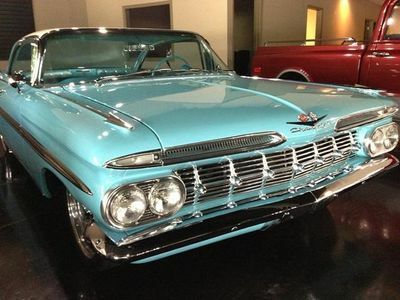 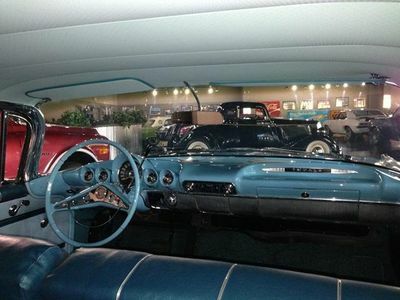 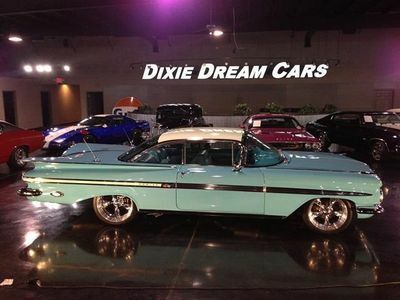 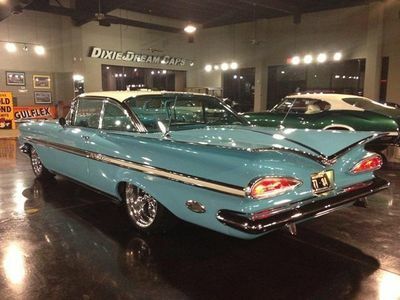 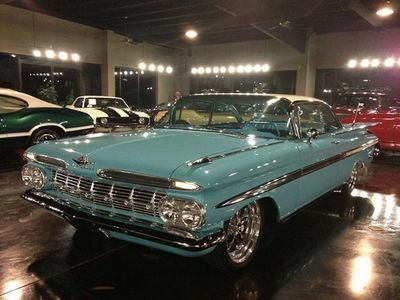 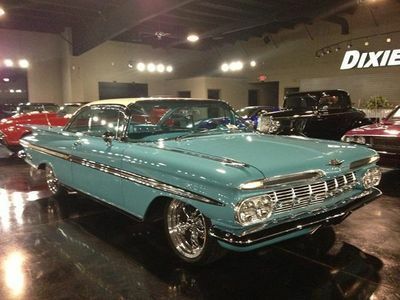 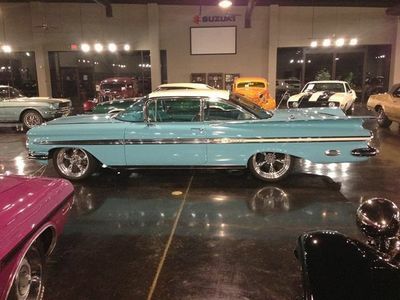 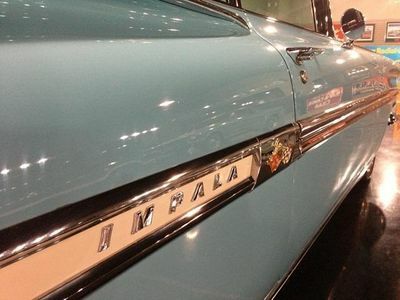 The Impala was introduced in 1958 and positioned as top of the line Bel Air coupes and convertibles. 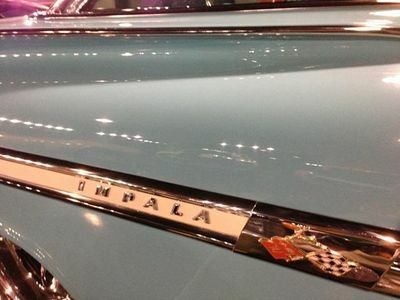 The name Impala is recognized and revered by Classic Car Lovers worldwide. 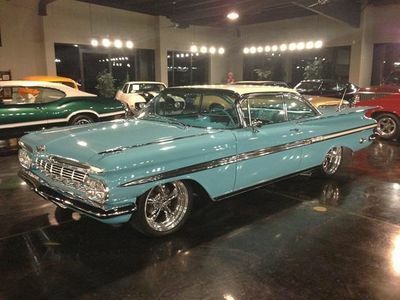 Impalas like this beauty aren't easy to find. 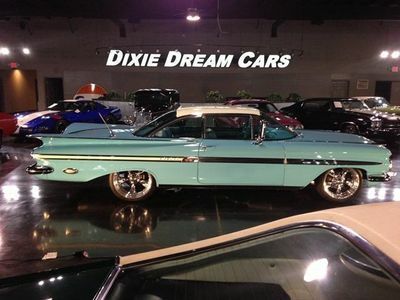 Don't miss your opportunity to own your Dream Car! 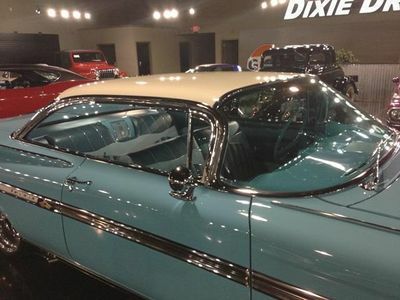 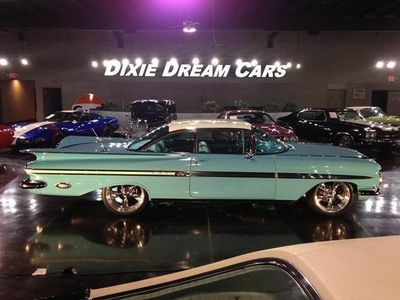 Call, Email or Come by today and for your chance to drive this Classic piece of American Automobile History home!